I’m allergic to the real penicillin, so when I’m sick I like to soothe my cold symptoms with a big ‘ol bowl of chicken soup. 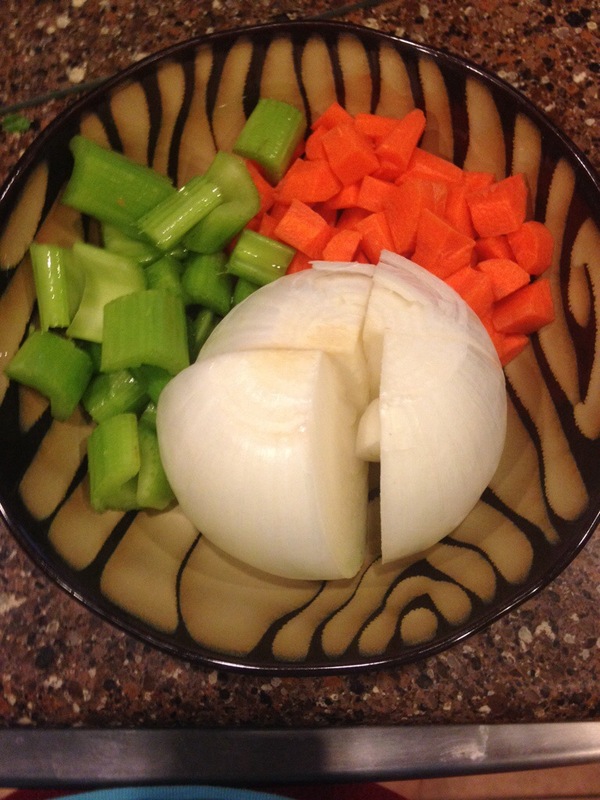 I’ve tried multiple recipes over the years, and while the broth base is almost always the same (a chicken covered with water and boiled for 4 hours), the vegetable and herb combinations vary. Truthfully, I can’t say I’m married to any one specific combination – but the New York Penicillin made famous by Marie Stacey in Molly O’Neill’s New York Cookbook has a simple combination of flavors: carrots, celery, onion, parsley, a bay leaf, salt and pepper. 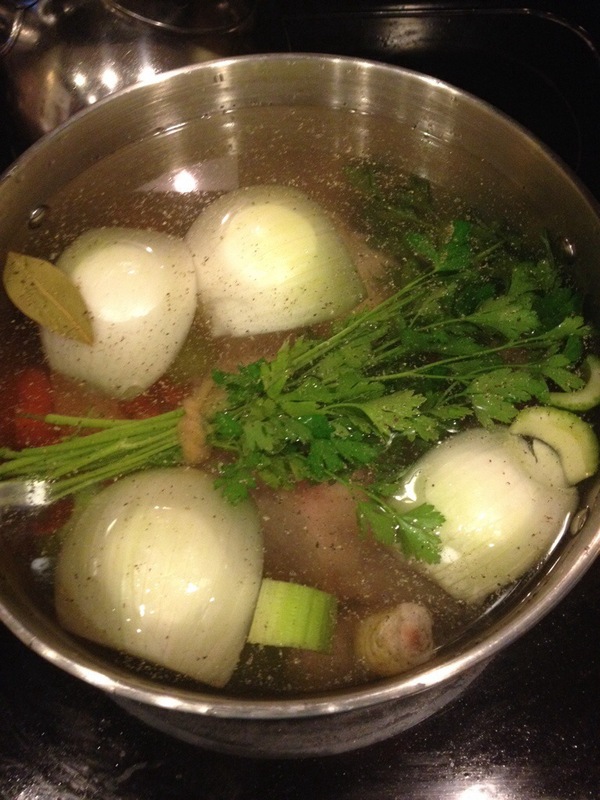 I wasn’t really actively looking for a new chicken stock recipe, but Nana says it’s the best! I started by chopping my veggies. Then in a large stockpot I added my chicken, vegetables, herbs, and seasoning. I turned the heat to high and waited patiently to reach a boil. Once the boiling point is reached, the heat is turned to low and we play a 4 hour simmer waiting game (skimming frequently!). I’m not under the weather, but sometimes you just need comfort food to lift your spirits. 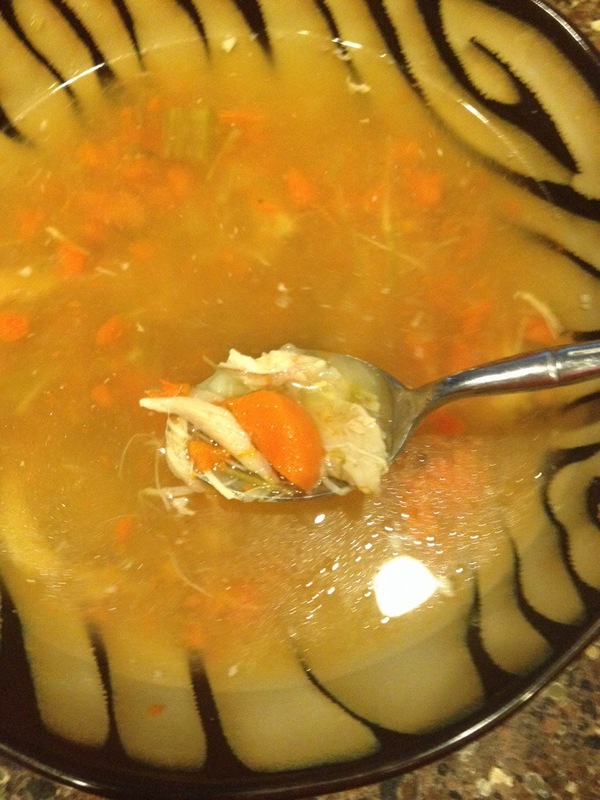 I mashed the carrots and celery into the broth, found a big spoon, and took a big ‘ol dose of comfort. 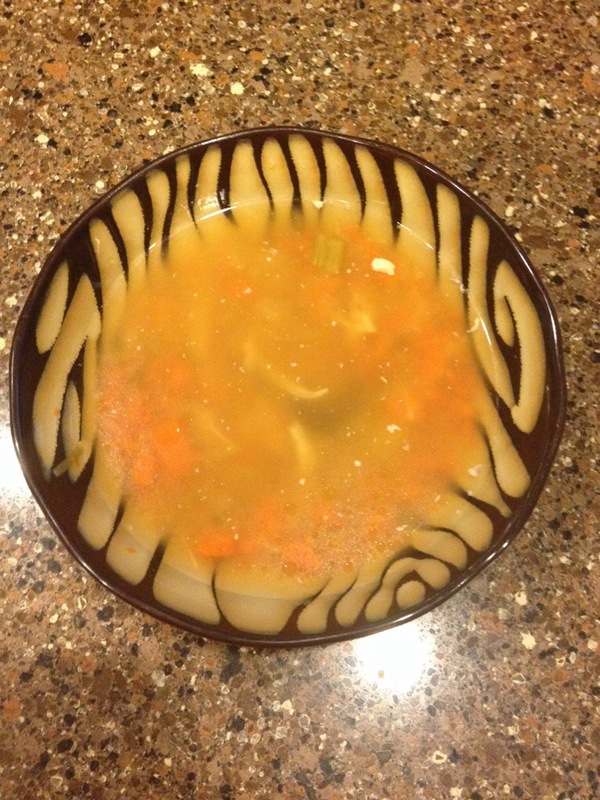 This soup was really wonderful, it truly just “warmed the soul.” Definitely a keeper – I know that when someone in our household falls ill, I’ll be thankful to have a frozen supply awaiting! Put all ingredients into a large stock pot, except the noodles, and slowly bring to a boil. Reduce heat and simmer for four hours, skimming often. Strain the stock from the solids and discard the onion, parsley, bay leaf and peppercorns but save the chicken, and other vegetables. Remove skin and debone the chicken. Shred the chicken between your fingers and return the chicken to the pot with the stock. 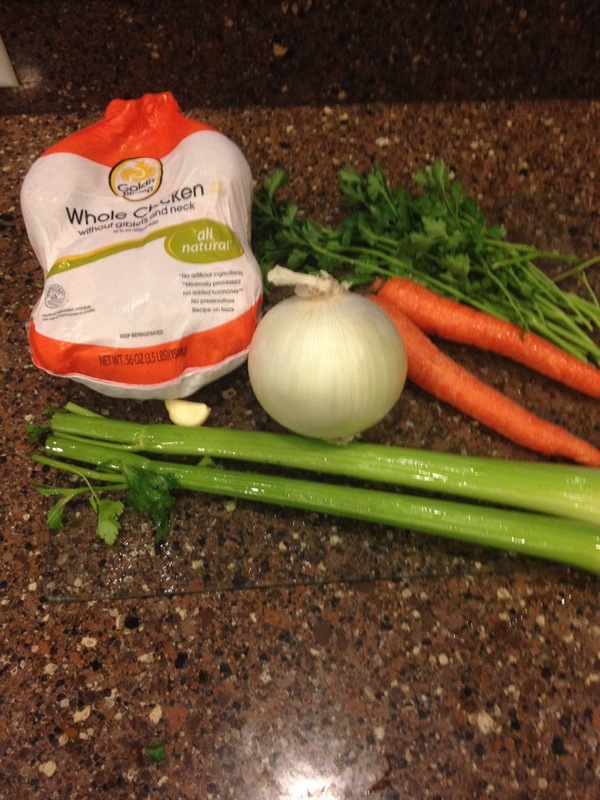 Return the carrots, celery and garlic to the pot with the stock and bring back to a simmer. Season finished soup with salt and pepper to taste. Skim off top layer of fat and discard.